To be honest, this rendered VW Beetle Ute doesn't look half bad. We’re not ever sure if there’s such a thing as a German redneck or if there's even a name for them. But if there is, this could be their car of choice (if it actually existed). 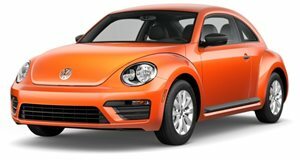 Theophilus Chin has just released this rendering of what a Volkswagen Beetle could look like if it were to be given a truck bed. And to be honest, it reminds us of the discontinued Chevy SSR. Ironically enough, the talented rendering artist managed to dig up a photo of what’s clearly an original Bug with a truck bed conversion. Of course it’s towing a trailer with a regular behind on top. Although the chances of VW actually building a production Beetle Ute (for lack of a better name) are slim to none, the concept is intriguing enough. Hope no Bratwurst and Knodel-eating Germans were offended here.